Hello everyone and welcome to our 2nd special Build-A-Flower Release- this month we have the gorgeous Build-A-Flower Aster! We are excited that every month on the 15th we will have a special release of a new Build-A-Flower Set – so make sure to look out for these beauties they are sure to make an incredible collection! Make sure to visit designers’ blogs for more details and leave them some love. 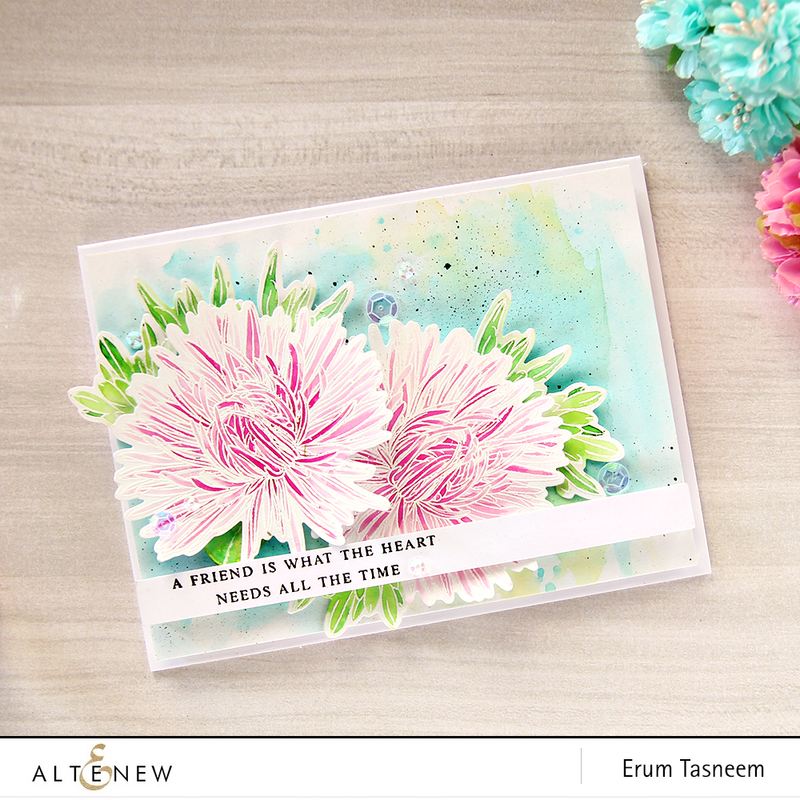 We cannot wait to see what you create with our Build-A-Flower: Aster Set. To celebrate this special release, we are giving away a $30 gift certificate to THREE lucky winners! 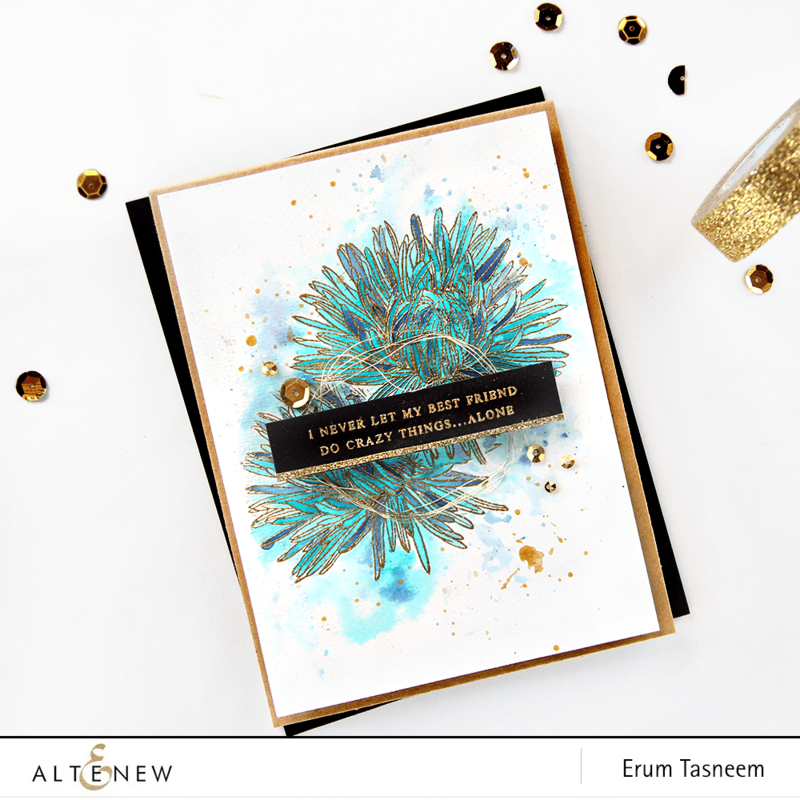 Please leave a comment here on the Altenew blog for a chance to win. The winners will be announced on Tuesday, April 25th. Wonderful Aster set and love what everyone created. What is lovely set. I’ve had asters in my garden and this set really loops like you just picked the flower. Hope to use it in the future. So many great examples created! Great set. I have only recently learned about Altenew! I love the layered stamps and will look forward to seeing the new releases every month on the 15th. I love this set, especially the sentiments. 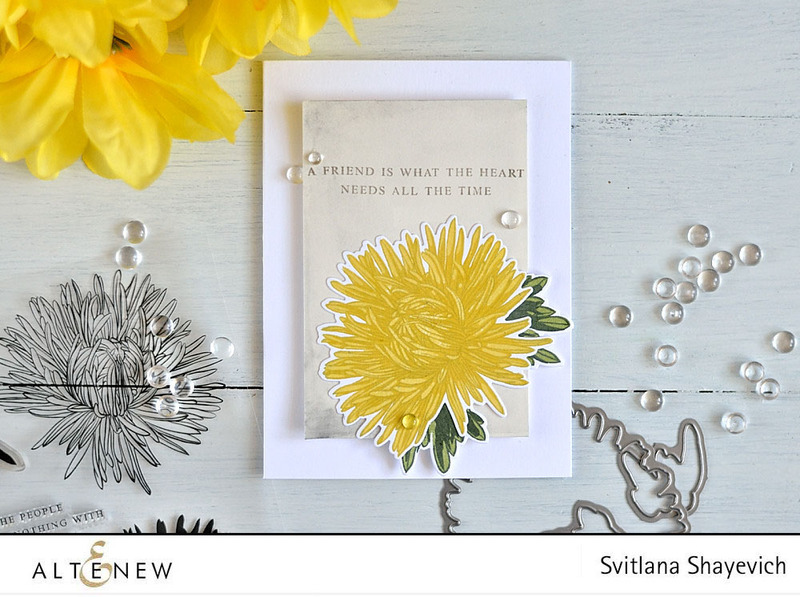 I enjoyed watching Iliana, live on facebook, as she showed the new Aster flower stamps. I am partial to the yellow color for the Aster. It is a lovely stamp set. Gorgeous set! Just when I think I have enough flowers, I see another one I want! These are beautiful cards! I love this particular flower and to see it layered is stunning! Love the Altenew layered stamps. Just placed my order. Thanks for the great work! Another gorgeous floral! Excited about this series! I love this set. Beautiful cards. Hooray, you now have my favorite asters! That would be great to win them! Beautiful sett! One of my moms favorite flowers! 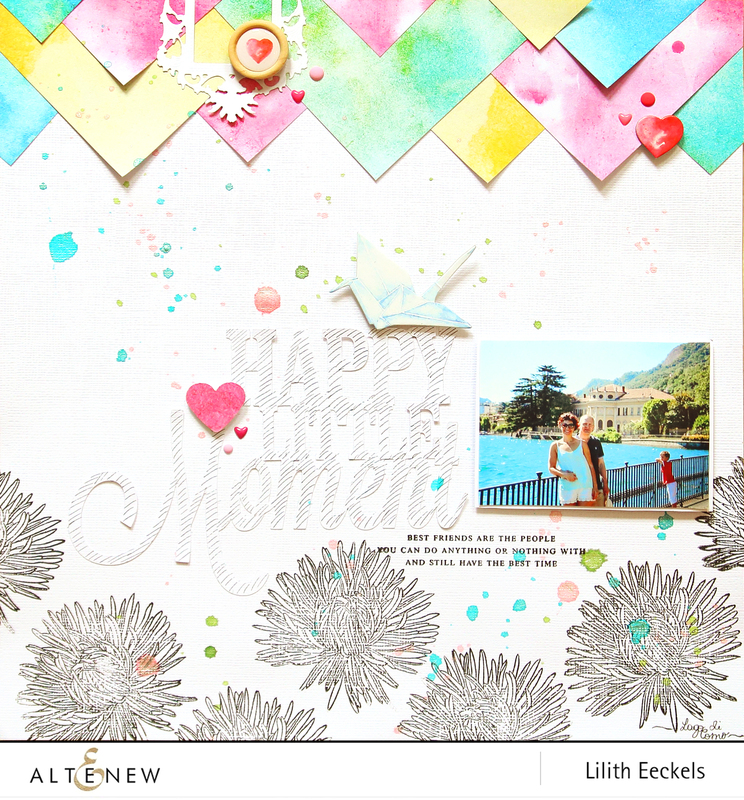 This is such a great idea doing a monthly floral stamp and die set! Thanks for having a giveaway!! I like all the inspiration but Erum’s in particular! Love the Asters are all so beautiful. Great job ladies! Thank you all so look very much for all the beautiful flowers you’ve produced in the past and present. I love these stamps, thank you! This stamp set is heaven! And the cards are so beautiful! I can not tell which one is my favourite because every card is just amazing..
Beautiful card ideas! This new stamp set is awesome. Loving these new build-a-flower sets! Just received my Camellia & it’s wonderful. Would be amazing to win something! Thanks for the chance. Wow I’m loving your new build-a-flower sets they are amazing. I love all of your floral dies and stamps. This one is beautiful. This is a beautiful set! Love asters! Love these Asters. So pretty! Such different looks in each of these beautiful cards! Love the aster flowers! Gorgeous set! Altenew really struck it gold with these build a flower sets. From the camelia, now the aster! Looking forward to more! Amazing cards. Love them all! Great job ladies! How do I get hold od the Aster set? Lovely set. I like that the dies are included too. I love asters and this set really captures their beauty. The DT members created some beautiful cards! I would love to win this set!! Such gorgeous flowers! Love this stamp set and the projects. All your floral stamps are simply beautiful. Thanks for your inspiration. WOW this stamp set is stunning! Altenew, you’ve done it again! Amazing! I wanna have it so much! Love asters and this set is an excellent replica of the real flowers. Appreciate seeing the different uses by DT members. All are gorgeous! So wonderful to see you including other interesting flowers that people may not know about. This is gorgeous! !